In Evora (that first “E” is supposed to have an accent above it but life is short), they just reopened the Capela dos Osso after spending a fortune refurbishing it. 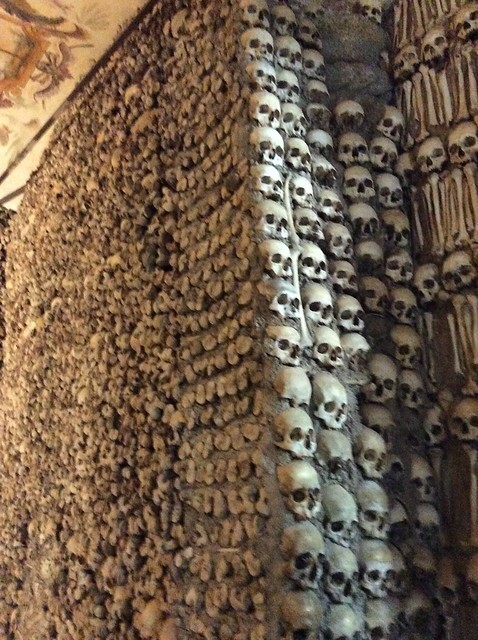 That is, obviously, the chapel of bones, a largish room where the bones of the fully decomposed dead were put on display, to remind us all of our mortality. Sometimes I think that’s the real value of Halloween: not the scares, not the candy, not using the costumes to pretend to be someone else. It’s the reminder that one day, we all must end.